Here is the continuation of the article by Khalid Chraibi (it was originally published at Tabsir.net. It is being republished here with the permission of the author). Here he summarizes some individual and institutional positions on the use of astronomical calculations for the Islamic calendar. See Part 1 of the article here. Egyptian qadi Ahmad Muhammad Shakir (who was to become President of the Egyptian Supreme Court of the Shariah at the end of his career, and who remains to this day an author of reference in the field of hadith) (9), wrote a lengthy legal opinion in 1939 on the subject of the Islamic calendar, entitled : “The beginning of Arab months… is it legal to determine it using astronomical calculations?”. (2) According to him, the Messenger took into account the fact that the Muslim community of his time was “illiterate, not knowing how to write nor how to count”. So, he recommended to its members to observe the new moon to carry out their religious duties at the time of fasting and hajj. But the community evolved considerably over time, and some of its members even became experts in astronomy. According to the principle of Muslim law which states that “a rule is no longer applicable, when the factor which justified its existence has disappeared”, the Messenger’s recommendation didn’t apply anymore to the Muslims, after they had learned to read and count and had ceased being illiterate. Therefore, according to Shakir, contemporary ulama’ commit an error of interpretation when they give to the Messenger’s hadith the same interpretation that applied at the time of Revelation, as if the hadith prescribed immutable rules. But, it has stopped being applicable to the Muslim community long ago, based on the principles of the shari’ah themselves. Furthermore, Shakir refers to the principle of Muslim law according to which “what is relative cannot refute what is absolute, nor can it be preferred to it, according to the consensus of the ulamas.” The observation of the new moon with the naked eye is relative, and can be the subject of error, whereas the knowledge of the beginning of lunar months, based on astronomical calculations, is absolute, and belongs to the domain of certainty. Shakir reaches the conclusion that there is nothing in the shari’ah which opposes the use of calculations to determine the beginning of all lunar months, in all circumstances, and not only in special situations, as had been recommended by some ulama’. For him, there can exist only one lunar month applicable in all countries of the world, based on astronomical calculations. The use of the same pre-calculated calendar in all Muslim countries will give them an opportunity to celebrate all major Islamic events on the same day, throughout the world, thereby increasing their feeling of solidarity and unity. a) The Islamic calendar based on the observation of the new moon is only used in contemporary Muslim societies to determine the dates associated with religious celebrations. To meet all their other needs, Muslims around the world have used, for many centuries, the Gregorian calendar, based on astronomical calculations, without the slightest apprehension that they might thereby be violating religious prescriptions. Why would it be licit for Muslims (including ulama’) to use the Gregorian calendar based on astronomical calculations to meet all their needs, while the use of the Islamic calendar, based on the same calculations, would be illicit? b) The same situation can be observed at the level of the Muslim States. For example, Saudi Arabia sees no problem in using the Umm al Qura calendar, based on calculations, for the management of all the administrative and budgetary affairs of the country, while insisting that it would be illicit to use it for the determination of the dates of religious celebrations. On which rules of Shari’ah does this paradoxical proposition base itself? c) The use by Saudi Arabia of the calendar based on calculations to manage its administrative affairs implies, beyond any doubt, that the lunar calendar based on the monthly observation of the new moon is unfit for such use. So, one must ask oneself: When the Messenger Muhammad referred to the observation of the new moon to determine the beginning of a new lunar month, was it his intention to disconnect the Arab calendar from its astronomical moorings, making it unfit for any practical use? Or did he merely give, at the time of Revelation, an appropriate response to the question put to him, based on the current practices of the Arabs at that time ? In the latter case, shouldn’t this response have been reviewed and adapted to the needs of Muslim societies as they progressed in their scientific, cultural and social environment? 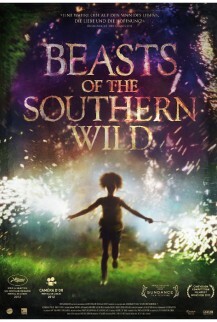 Isn’t it time to proceed with this review and adaptation now? d) Why are the prayer times determined in a lawful shari’ah manner on the basis of astronomical calculations, and yet it is stated that the beginnings of Islamic months cannot be dealt with using the same tools and methods? Based on all the above considerations, numerous Muslim thinkers and community organizations consider that it is perfectly licit for Muslims to use a calendar based on calculations, in substitution to the calendar based on the monthly observation of the new moon, to determine the beginning of all months. But there remain major differences between them concerning the specifics of the Muslim calendar which could be used as a “global Islamic calendar”, as is clear form the major proposals which were made in this domain in recent years. The Fiqh Council of North America (FCNA) was regularly confronted with the responsibility of telling its Muslim American audience when to start fasting, when to celebrate eid al-fitr, etc. After several years of study of the legal issues involved, it reached a decision, which it announced in August 2006, to use henceforth a pre-calculated Islamic calendar, taking into consideration the sightability of the new moon anywhere on Earth. (4) The decision of the Fiqh Council of North America (FCNA) combines the theological requirements of the ulama’ with the state of the art in the field of new moon observation. First, it retains the well-known principle of unicity of horizons (matali’) which states that it is sufficient to observe the new moon anywhere on Earth, in order to declare the beginning of a new lunar month, applicable in all areas in which the information is received. (10) Second, it uses the International date line (IDL) or Greenwich Mean Time (GMT) as its conventional point of reference to conduct its analysis. Based on the maps of sightability of the new moon in the various regions of Earth, which are now regularly prepared by professional astronomers (11), the FCNA reached the conclusion that when the conjunction took place before 12:00 noon (GMT), there was enough time left for the new moon to be seen in numerous areas on Earth where sunset took place long before sunset in North America. Since the criteria of sightability of the new moon were met in these areas, the new moon would be observed (or could have been observed if weather conditions had been adequate) long before sunset in North America. Therefore, the requirements of sightability of the new moon as set by the shari’ah would be respected, and the new lunar month could begin in North America on sunset of the same day. On the other hand, if the conjunction took place after 12:00 noon GMT, the month would begin in North America on sunset of the following day. The FCNA decision aroused much interest in many Muslim countries, because it elegantly met the requirements of the traditional interpretation of the shari’ah, while making use of the state-of-the art know-how in the field of astronomy to respond to the needs of the modern age. It was thought that this solution could be applicable in other Muslim countries, and could give them a chance to adopt the same pre-calculated Islamic calendar (prepared on an annual basis, long in advance), in order to fulfill all the religious duties as well as to manage all other tasks. But FCNA changed its position in 2007 to align itself on a new decision by the European Council for Fatwa and Research (ECFR), which used the same parameters as those of the Umm al Qura calendar (7) to determine the beginning of Islamic months. These parameters are as follows : the “conjunction” must take place “before sunset at the coordinates of Makkah” and “moonset must take place after sunset” at the same coordinates. FCNA and ECFR justified the adoption of the new parameters by their desire to help develop a consensus within the Muslim community throughout the world on issues of common interest, among which that of the calendar. • The requirement that the “conjunction” take place “before sunset at the coordinates of Makkah” instead of 12:00 noon GMT, as previously specified by FCNA, adds 3 hours to the time period during which the conjunction will be taken into account. This improves the chances that the first day of the new month will immediately follow the day on which the conjunction takes place. • But, the requirement that “moonset take place after sunset” at the Makkah coordinates sets an unduly restrictive condition, which didn’t exist in FCNA parameters of 2006. It implies that the new moon will be potentially sightable at Makkah on the evening of the day of conjunction, whereas the FCNA based its reasoning on the fact that the new moon would be potentially sightable “somewhere on Earth”. • The Muslim communities in Europe and America were willing to use this calendar to determine the beginning of all months, including those associated with religious events. Five years after the adoption by the FCNA and ECFR of their important decisions, it is possible to draw the point of the situation, based on the announcements made by the major Muslim States and organizations concerned, on the occasion of the 1st of Ramadan 1433 (July 2012). It shows that there remains major differences between them concerning the properties and technical specifications that a “global Islamic calendar” should have. These changes decrease the credibility and value of the Umm al Qura calendar as an astronomical calendar that the Muslim community could use, worldwide, leading Muslim communities in North America and Europe to draw their own Muslim astronomical calendar. On the basis of what has been said, it is clear that the Muslim calendar based on the monthly observation of the new moon with the naked eye cannot perform the functions expected of a calendar. It is of no use to manage long-term activities, to anticipate, plan and organize in advance everything that must be done. These weaknesses stand out even more clearly when each State and Muslim community around the world conducts its own individual monthly observation of the new moon, resulting in a range of calendars which present conflicting data for the same day from one country to another. But, a lunar calendar based on calculations can meet all the needs of Muslims in the world, just as well as the Gregorian calendar they currently use. The only problem concerns the determination of the parameters that would be acceptable to all potential users of the calendar, to turn it into a “global Islamic calendar”. The FCNA and the ECFR presented, in this respect, two basic versions of such a calendar, both equally valid. They deserve to be studied with the greatest care. Following in the steps of Qadi Shakir, Yusuf al-Qaradawi, and the leaders of the FCNA and the ECFR, a new generation of Muslim thinkers see no religious barrier to the adoption of such a calendar. At present, they represent only a minority of people, when compared to the entire Muslim population of the world, and are mostly located in North America, Europe and some North African countries. But, their views are gaining ground, with the support of some distinguished thinkers, political and social leaders, jurists and theologians who are influential in the Muslim world. Will this Muslim minority be able to convert to its thinking the vast majority of those who, today, continue to uphold the practice of the monthly observation of the new moon? Or, will the latter remain faithfully on the side of the fundamentalist movements which, today more than ever, vigorously preach the respect of orthodoxy and tradition in religious matters? In these early years of the 21st century, the calendar based on calculations thus becomes, in its turn, a stake in the ritual, recurrent political confrontation between those who defend tradition and those who wish to promote modernity in Muslim societies. • The Astronomical New Moon is on July 19, 2012 (Thursday) at 4:24 Universal Time (7:24 a.m. Makkah time). Sunset at Makkah on July 19 is at 7:05 p.m., while moonset is at 7:11 p.m. Moon is born before sunset in Makkah and moonset is after sunset. Therefore first day of Ramadan is Friday, July 20. • The Astronomical New Moon is on August 17, 2012 (Friday) at 15:54 Universal Time (6:54 p.m. Makkah time). On Friday, August 17, sunset at Makkah is 6:49 p.m. and moonset is 6:30 p.m. Moon is born after sunset in Makkah and moon sets before sunset. On Saturday, August 18 , sunset at Makkah is 6:49 p.m. and moonset is at 7:11 p.m. Moon is born 24 hours before sunset, while moonset is after sunset. Therefore, first day of Shawwal, i.e., Eid ul-Fitr is Sunday, August 19. The issue of Islamic calendar comes up every year around the time of Ramadan and/or the two Eids. On Irtiqa Nidhal Guessoum had this post a little over a year ago: Islam and Astronomy: The tug-of-war continues and another one earlier this year: Important progress on the Islamic calendar problem. And then just a couple of months ago, I had a post about the confusion about Eid in Pakistan: Strife amongst maulvis give astronomers a rare opening in Pakistan. We have a guest post here on Irtiqa on this particular topic. It was originally published at Tabsir.net, but it is being republished here with the permission of the author. I think it is an important issue and it is great to see progress being made in this direction (though it is only a matter of time when the dispute will only be about what astronomical marker to use rather than whether we should use calculations. And these discussions will pave the way for that). Here is the first part of the article. Read part 2 of the article here. - and the data it shows each month differs from one Muslim country to another. For instance, the first day of Ramadan 1427 corresponded to Saturday, September 23, 2006 in 20 countries ; Sunday, September 24 in 46 countries ; and Monday, September 25 in 5 countries. (1) This situation is in no way unusual, but can be observed every month. Because of these shortcomings, after the major Muslim countries were occupied by foreign powers in the 19th and 20th centuries, Muslim people started using the Gregorian calendar to meet all their needs, and only care about determining Islamic dates on momentous Islamic religious occasions. But, to this day, they regularly get puzzled at the inability of the Islamic calendar to predict precisely, well in advance, the day on which major Islamic events such as the first day of Ramadan, or eid al-fitr, or eid al-adha, or the first day of the new Islamic year are to take place. They may even get annoyed because they cannot arrange in advance such ordinary things as taking a few days off from work on such occasions, making hotel bookings or flight reservations, or avoiding to take business or trip commitments on such dates. The Islamic calendar only lost its usefulness when it got disconnected from its astronomical, conceptual and methodological moorings, early in the 7th century, based on Muslim theologians’ interpretation of a celebrated hadith of the Messenger on how to determine the first day of Ramadan. It could fulfill all the basic functions of a calendar, and meet all the needs of modern man, within the Muslim community, on a worldwide basis, if it were prepared using the applicable scientific concepts, methods and parameters developed in astronomy. Qadi Ahmad Shakir, President of the Egyptian Supreme Court of the Shari’ah, explained in an important 1939 study of the issues that there was absolutely no obstacle, on the theological level, to the establishment of such an Islamic calendar, using astronomical calculations. (2) In 2004, jurist Yusuf al-Qaradawi announced his full support to Shakir’s analysis and conclusions. (3) For its part, the Fiqh Council of North America (FCNA), acting independently, presented in 2006 an ingenious, well thought-out methodology which permits the adoption of a pre-calculated calendar, while meeting all the traditional requirements of the Shari’ah (4). Since then, a number of representative organizations of the Muslim communities in North America and Europe announced that they would henceforth use a calendar based on astronomical calculations to determine all the dates associated with the Islamic calendar, in substitution to the traditional method of observing the appearance of the new moon at the end of each lunar month to determine the first day of the following month. The astronomers set the convention, over two thousands years ago, that months of 30 days and 29 days would succeed each other, adding up over two successive months to 59 full days. This left only a small monthly variation of 44 minutes to account for, which added up to a total of 24 hours (i.e. the equivalent of one full day) in 2.73 years. To settle accounts, it was sufficient to add one day every three years to the lunar calendar, in the same way that one adds one day to the Gregorian calendar, every four years. The lunar calendar based on calculations can thus be established very precisely, on an annual basis, long in advance, with identical monthly data for the whole Earth. If the “conjunction” occurs early in the day, the new moon may be visible on the same evening, after sunset, in specific regions of Earth where the appropriate favorable observation conditions are met. From one month to the next, these favorable conditions exist in different areas of the globe. Otherwise, beginning with the second night after the “conjunction,” the new moon will be observed easily enough in many regions of Earth. Thus, various States and communities in the Muslim world often begin the new lunar month on different days, with a delay of 24 hours from each other during the 48 hours following the “conjunction”. Clearly, a calendar which depends on the observation of the new moon, at the end of each lunar month, to determine the beginning of the new month, cannot be of any use to plan activities beyond the current month. Early astronomers who converted to Islam (and in their wake Muslim jurists) knew that the length of the lunar month was between 29 days and 30 days, whether measured between two “conjunctions” or between two observations of the new moon, as the Messenger had emphasized in various hadiths. (5) As far as they were concerned, the beginning and duration of lunar months were independent of the presence or absence of observers and of the visibility conditions of the new moon in various Earth regions. The first sighting of the new moon anywhere on Earth set the beginning date of each lunar month for the whole Earth (and the duration of each month between two new moons was the same for all regions of Earth). But, though these principles were conceptually easy to understand, they were difficult to put into practice. Indeed, once the new moon had been reliably observed somewhere, how was this information to be brought to the attention of populations living over extended geographic areas, or even in very remote areas (as illustrated by the distance between Spain and Arabia, for example)? To which communities did such an information apply, as a rule of law, and they had to draw from it all its implications (such as to start fasting, or to celebrate the end of Ramadan, etc.)? (1) The observation of the new moon can be taken into account only by the communities which receive the information. (2) The observation of the new moon in Eastern countries marks, from a theoretical standpoint, the beginning of the new month for all countries located to the west of the site of observation. This is so because, as the age of the new moon increases between the time of its birth (at the “conjunction”) and its first setting, the possibility of observing it improves. Thus, going from East to West, from Mecca to Casablanca, for example, the age of the new moon increases by 3 hours between the times of sunset in Saudi Arabia and Morocco. (3) An observation of the new moon must be considered void, when reported before the conjunction has occurred. (4) In general, given the difficulties of communication between Muslim communities over extended geographic settings, the population of each country must implement the decision of the national authorities concerning the beginning of lunar months. Today, only the latter principle is scrupulously respected in the Muslim world. As a result, because of the multiplication of States and Muslim communities around the world, the same beginning of month is sometimes shelled out like a rosary in successive days in different countries. Thus, “Eid al Fitr,” corresponding to 1 Shawal 1429, was celebrated in 5 different days around the world: in 1 country on 29 September 2008, in 19 countries on September 30, in 25 countries on 1 October, in 5 countries on October 2, and 1 community on October 3. Such a drift in the Muslim calendar is contrary to Reason. Nor, would it be possible if the first three principles outlined above were respected. This is the thesis developed in 1965 by Allal El Fassi, an ‘alim (jurist) of the University Qarawiyine of Fez (Morocco) and Moroccan Minister of Islamic Affairs, in a report on “the beginning of lunar months” he prepared at the request of King Hassan II. (6) According to him, if a consensus could be reached on the application in Muslim countries of the first three principles above, such a “return to the sources of Islamic law” could provide a strong basis and impetus for the unification of the dates of religious celebrations across the Muslim world. Thus, the first sighting of the new moon anywhere on Earth should be confirmed by the appropriate Muslim authorities at the site of observation and, using modern communication technologies, should be quickly brought to the attention of the competent authorities of all States and Muslim communities around the world. The latter would have the responsibility to spread the information in their respective territories. But, contrary to el Fassi’s recommendations, things became even more complicated as more independent States began specifying new rules and procedures to determine, each one for itself, the beginning of lunar months. Thus, Saudi Arabia bases itself on the monthly observation, by the naked eye, of the new moon to declare the beginning of months associated with religious celebrations (Ramadan, Eid al Fitr, Dhul Hijja, etc.). Specialized commissions have the responsibility, on such occasions, to search for the new moon in the sky. The High Judicial Council of Saudi Arabia bases itself on the result of their observations to determine the beginning of the new month. In India, Pakistan, Bangladesh, Oman, Morocco, Nigeria, Trinidad, etc.., the observation of the new moon must be certified by a qadi (judge) or an official specialized commission. In Egypt, the new month begins after conjunction, when the new moon sets at least 5 minutes after sunset. In Indonesia, Malaysia and Brunei, the new month begins after the conjunction, when the age of the new moon is more than 8 h, the altitude <2 and="and" elongation="elongation"> 3 °. It begins in Turkey, after the conjunction, when the new moon forms an angle of at least 8 ° with the sun, at an altitude of at least 5 °. In Libya, under the former Gaddafi regime, the new month began when the conjunction occured before dawn (”fajr”), local time. The study of specific cases shows, however, that there is a significant gap between the rules that the various States say they apply and what they do in practice. Is it licit for Muslims to use a calendar based on calculations? The Qur’an prohibits nowhere the use of astronomical calculations for the establishment of a pre-calculated calendar. The procedure is therefore perfectly and undisputably licit. Numerous theologians in the early years of Islam saw no contradiction between the Messenger’s teachings and the use of astronomical calculations to determine the beginnings of lunar months. (5) The dynasty of Fatimids in Egypt used a pre-calculated calendar over a period of two centuries, between the 10th and 12th centuries, before a change of political regime reactivated the procedure of observation of the new moon. But the majority of Muslim theologians insist nowadays that, no matter what, one can’t go against the Messenger’s teachings. They interpret his recommendation concerning the observation of Ramadan’s new moon as if it were part of the fundamental Islamic dogma. It would be utterly wrong, in their view, to use a calendar based on the conjunction, because one would start fasting, end fasting, and celebrate all other important Islamic events about two days earlier than would be the case if the procedure of observation of the new moon were applied. The report of erroneous sightings is not peculiar to Saudi Arabia but is observed in most other Muslim countries studied. The authorities in these countries base themselves on such false sightings to announce the beginning or the end of the fast of Ramadan and other major religious celebrations, even when the reported sightings are in contradiction with the well-publicized astronomical facts of the situation. As for the hadith of the Messenger according to which the Bedouins can neither write nor count, and must thus avoid using (astronomical) calculations, Ibn Taymiya observes that the argument may have been justified at the beginning of the 7th century, but he questions whether it could still apply to Muslims centuries later, after they had been at the vanguard of development of scientific knowledge, including in the field of astronomy. Parts of the essay appeared on SaudiDebate.com (5 September 2007) and Tabsir.net (23 July 2008). I wish to express my deep appreciation to Ms. Rachida Benchemsi and Messrs Said Branine, Mark Huband, Daniel Martin Varisco and Khalid Shaukat. Any errors of fact or interpretation are solely mine. Sandy has made a mess in New York and New Jersey. We were spared except for high wind gusts. I'm also getting out of a grading black hole (grading 50 papers can break the human spirit :) ). So yes, a number of back-logged posts are coming up. 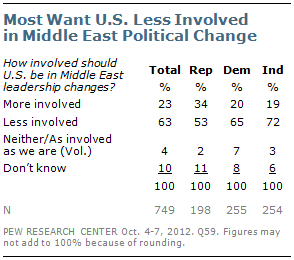 Actually I find interesting that around 35% of people think that the changes in the leadership in the Middle East would be bad for the US - and that number has not really changed. This is a bit in contrast to the political sound-bites as well as the way media has covered this issue. 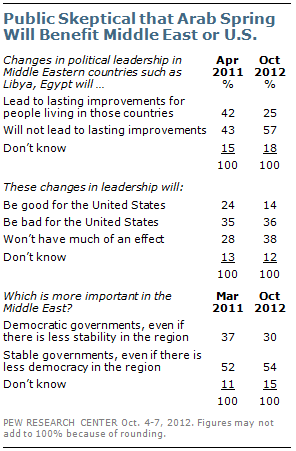 Because what we are left here is that about half of the respondents believe that the changes either will be good for the US or have no impact on the relations to the US. That is a rosier interpretation than we usually hear. So if Romney is elected (yikes!) at least he will know that he has a strong backing of his supporters to initiate a military conflict with Iran over the nuclear issue. Not that Obama's foreign policy has been great (the Noble Peace Laureate personally authorizes drone strikes on individuals), but a Romney presidency will potentially be scarier for the region. Here is a recent BBC poll that residents in 20 out of 21 countries favor Obama over Romney. 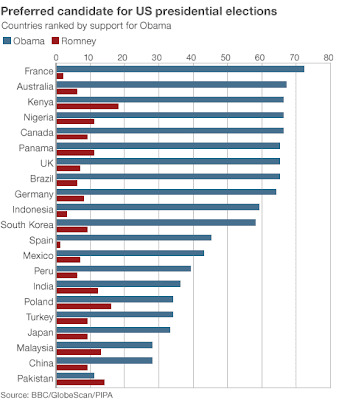 One exception: Pakistan (actually from the numbers it looks like Pakistanis don't want either of them elected). 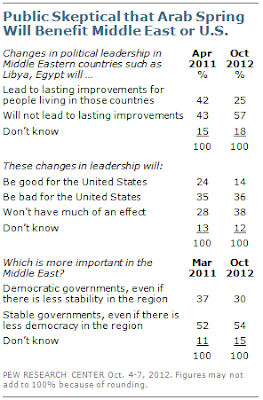 Read the full Pew Report here and the BBC poll here. The layout is fantastic but I haven't been able to read it on my iPad. Since I, like many other people, do most of the reading on that platform, it will be great if it can read on that platform. I will be participating in a discussion over Islam and Evolution on Boston University campus this coming Wednesday (Oct 24th). The event is organized by American Islamic Congress and its Project Nur (they had another event in Iowa this past April on Cosmology and Islam. Also see this post). I'm excited about the event. The panel is fantastic - so I hope this will be a lively session. If you live in or near the Boston area, come to the program. Halal food will be served. To reserve your free ticket, click here. The fascinating dialogue between science and Christianity has gone on for centuries. But we seldom hear a public debate on intersection of Islam and science. That is why American Islamic Congress and Project Nur have launched a groundbreaking series of public dialogues to illuminate the relationships Muslims have with the sciences. This fall’s dialogue at Boston University will focus on one of the most contentious issues in the field – evolution. Top scholars from across the sciences will meet to explore how men and women of Muslim backgrounds reconcile evolutionary theory with scripture, theology, and personal belief – or whether they do so at all. Panelists: Ehab Abouheif, Research Chair in Evolutionary Developmental Biology and Principal Investigator, Abouheif Lab, McGill University; Rana Dajani, Assistant Professor of Molecular Biology and Director, Centre for Studies, Hashemite University; Omar Sultan Haque, Postdoctoral Fellow, Psychology, Harvard University and Psychiatry and Law, Harvard Medical School, and Co-Director, UNESCO Chair in Bioethics, American Unit. In addition, Elise Burton from Harvard University will be moderating the session. In Greek religion, the encounter between mortals and gods was dominated by fear. The belief in the power of gods was based on experience and enhanced through rituals. Cult regulations, narratives of punitive miracles, confession inscriptions, and funerary curses allow us to study how the fear of god was constructed, justified, and aroused through narratives and rituals. In this lecture, Professor Angelos Chaniotis discusses how the public display and recitation of such inscriptions contributed to the construction and transmission of the concept of the divine in the Hellenized East. Okay - I don't want to make light of the incredibly repulsive act of the Taliban shooting a 14 year old in the head. But it seems that the Taliban (of the Pakistan flavor) are a bit sensitive to bad press. They are bending over backwards to explain that they had really had to kill her as she would not stop in her opposition. I mean - they did really try to intimidate her and give her death threats. But it seems that this was not enough to scare her. It is clearly not the fault of the Taliban that she turned out be braver than most ordinary people. So they had to go through the trouble of finding a guy who would be willing to stop a bus full of school girls, ask for the identification of this particular girl, and then shoot her in head - and seriously injuring two of her friends. Now anyone can understand the plight of this poor shooter. But not the 'lame street media'. The Taliban mostly got negative press coverage in Pakistan! What? Yes, the Taliban accepted the responsibility of shooting the girl and repeatedly promised to complete the killing job if she somehow ends up surviving this attempt. But they also noted their helplessness: She was speaking out against them. So who blame the Taliban for complaining against the bias in reporting - a bias in support of bold teenage girls who speak in favor of education. 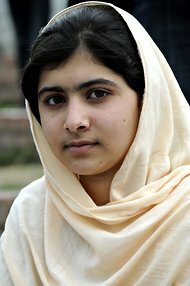 Pakistan's Taliban insurgency faces a spate of bad press in mainstream Pakistani outlets related to the jihadists' failed assassination attempt of Malala Yousafzai, a young blogger who dared protest the Taliban's ban on educating girls. Now the Taliban are plotting terror strikes on TV stations and other media organizations, but local newspapers refuse to stay silent. The first report of these plots were surfaced by an urdu-language reporter on Saturday, who uncovered a special directive by the chief of the banned Tahreek-i-Taliban Pakistan (TTP) Hakimullah Mehsud. As local newspaper Dawn reported, "Mehsud directed his subordinate to target the offices of media organisations in Karachi, Lahore, Rawalpindi, Islamabad and in other cities of the country especially those media organisations and media personalities who were denouncing TTP after attack on child activist Malala Yousufzai." In response, the Interior Ministry has beefed up security near media organizations. But the Taliban are still whining. "He said media provided an opportunity to all those people who were opposed to the Taliban and their activities and used insulting language against them on media. “Right from UN Secretary General Ban Ki-moon to Hillary Clinton and President Obama, all of them used whatever bad language and words they could use on the media but when we tried to reply to them, no media organisation was willing to give us importance. The media is not even allowed to use the real name for Maulana Fazlullah but calling him derogatory names like Mulla Radio,” Sirajuddin complained, but refused to admit that they planned attacks on the media." I thought Mullah Radio was a name that nicely brought together religion and technology (though I like the nickname for another Mullah: Mullah Bijlee - or Mullah Electricity. I think Salman Ahmed of Junoon once interviewed him). But I guess the press should be respectful for those who incite violence. After all, don't they have any rules, ethics or even shame? Oh - in the midst of various insanities, the Taliban can sometimes provide us with unintentional comedy. We can at least enjoy that. And, it turns out, she tells us an enormous amount that even I, a Cohen aficionado, didn’t know, including exactly how Jewish Cohen’s upbringing was — he was steeped in Judaism — and that his religious exploration included a brief period as a Scientologist. This detail illuminates the line in Cohen’s song “Famous Blue Rain Coat,” “Did you ever go clear?,” an explicit reference to Scientology that until now was always opaque to me. And here is the live version of the song from Leonard Cohen's last tour (and lyrics underneath it). Very cool! Also, see this post after I saw him perform live in a 2009 show. Overall, the movie is a taut thriller that will keep you at the edge of your seat. Now, one of the producers of the film is George Clooney, who has been in two of the smartest American films about Middle Eastern politics: Three Kings and Syrianna. If you haven't seen those, you should definitely check those out. So I expected Argo to display a similar kind of nuance. Indeed, the movie begins promisingly. It mentions the messy history of US-Iran relations, including CIA's role in the overthrow of a democratically elected Iranian government of Mohammad Mosaddegh in 1953. Unfortunately, the rest of the movie simply reinforces the stereotypes about Iran. It does stay close to some of the iconic images from the time - a man hanging from a crane, women in black clothes holding guns, blindfolded American hostages - but does not realize that those images themselves were creating a particular narrative in the US press. Now Affleck's movie simply ends up reinforcing the very same stereotypes using a different medium. I would not be surprised at that if the movie was directed and produced by less thoughtful people (hmm...for example, Michael Bay etc). However, Affleck and Clooney are supposed to be somewhat culturally sensitive to these issues. Just look at the timings. 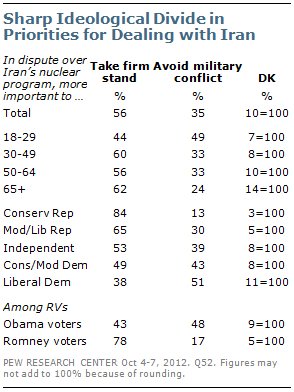 There is an open discussion of the possibility of bombing Iranian nuclear facilities. The US consulate in Libya was attacked just this past month. So what is the overall message of the film? Don't say that it is simply telling the story as is. The director makes the choices. And here Affleck chose to only show angry and unhappy Iranians. This is not a documentary either - and a number of elements in the story have been modified (especially towards the end) from the actual events. So it would have been easy to present the movie in a more nuanced way. This is not as bad as The Devil's Double, which was the supposedly true story about the body-double of Uday Hussein. In that film, one can find a justification for the US invasion of Iraq. Argo is not that bad. However, in the current political climate, it does damage by painting Iranians with the same broad brush often used by popular press. Disappointing. I am currently reading Pankaj Mishra's fantastic book new book From the Ruins of Empire: The Intellectuals who Remade Asia. The first part of the book focuses on Jamal-al-din al-Afghani and does a great job of tracing the evolution of his shifting views about imperialism and modernity. In any case, here is a conversation between Ian Baruma and Pankaj Mishra about this particular book. Enjoy. I did not know about the online journal, CyberOrient. It is relatively new and is published by the Middle East Section of the American Anthropological Association and the Faculty of Arts of Charles University in Prague. Its editor-in-chief in Daniel Martin Varisco, who also runs the fantastic blog, Tabsir.net. When I was asked to be the guest editor of the current issue of CyberOrient, I realized this is a welcome opportunity to arrange and re-sort some aspects, points, and arguments about the role of the media during the Arab Spring. In the course of the events late in 2010 and early in 2011, I felt enthusiastic and overwhelmed - not primarily as a scholar with a background in Middle Eastern and media studies, but as someone who was part of the peaceful German revolution in 1989 as a young teenager. Upon reflection, I took up the role of a media researcher considering how the use of media shaped these events. Though much has already been said and written about the media and Arab Spring, it would be worthwhile after a bit more than a year to reflect and reevaluate the relationship between the media and revolutions. Due to my involvement in this edition, and after numerous discussions with colleagues, and students in my media seminar in the summer term, I frequently came across the following three points: the significance of mediatization processes, the online-offline dichotomy, and various kinds of amnesia. Ms. Yousafzai, who won a national peace prize last year, was shot in the head and the neck, while two other people on the bus suffered lighter injuries, local health officials said. After emergency treatment, Ms. Yousafzai was taken by helicopter to a military hospital in the provincial capital, Peshawar, where doctors said she was in stable but critical condition late Tuesday. The Taliban publicly placed Ms. Yousafzai on its assassination hit list this spring. Mr. Ehsan added that if she survived, the militants would try to kill her again. “Let this be a lesson,” he said. I hope this act would get an appropriate backlash against the Pakistan Taliban and their supporters. But what a tragedy. She is only 14! But here is a clearer view of the full compound. Note all the stones on the ground. They have been left where they were found. There are now efforts to identify them to the right temples and then reconstruct the building using more than 75% of original stones. The legend tells the story about two ancient and neighbouring kingdoms in Java, Pengging and Boko. Pengging was prosperous, and wisely ruled by its king Prabu Damar Moyo who had a son named Bandung Bondowoso. By contrast, Boko was ruled by a cruel man-eating giant named Prabu Boko, supported by another giant Patih Gupolo. Despite his unpleasant nature, Prabu Boko had a beautiful daughter named Rara Jonggrang. The story relates that Prabu Boko desired to expand his kingdom, and so began training an army and raising taxes for an invasion of Pengging. His forces launch a surprise attack on Pengging, and the ensuring war causes devastation and famine on both sides. In order to defeat the invader, Prabu Damar Moyo sends his son Bandung Bondowoso to fight Prabu Boko. After a furious battle, Prabu Boko is killed by the prince's supernatural powers. His assistant, the giant Patih Gupolo, leads his armies away from the battlefield in defeat. Returning to Boko Palace, Patih Gupolo tells princess Rara Jonggrang of the death of her father. The princess is heartbroken, but before she can recover from her grief the Pengging army besieges and captures the palace. Prince Bandung Bondowoso is mesmerized by the beauty of the mourning princess and propose marriage, but his offer is swiftly rejected. 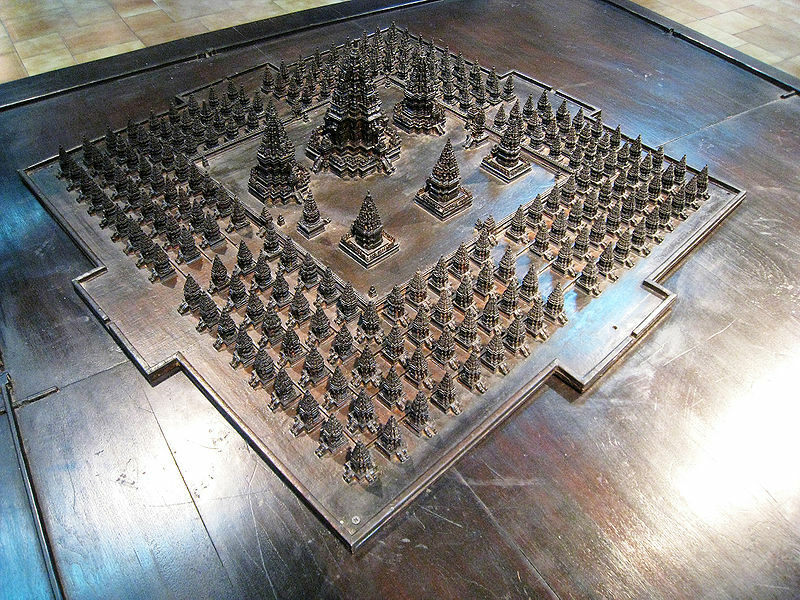 Bandung Bondowoso insists on the union, and finally Rara Jonggrang agrees on two impossible conditions: first the prince must build a well named Jalatunda, and second, he must construct a thousand temples in only one night. The lovestruck prince agrees, and immediately starts work on the well. Using his supernatural powers once again, the prince swiftly finishes construction and proudly displays his work for the princess. As a trick, she urges him to enter the well and when he does so, Patih Gupolo piles stones into it and buries him alive. With great effort Bandung Bondowoso escapes, but his love for the princess is so strong that he forgives her the attempt on his life. To fulfill the second condition, the prince enters into meditation and conjures up a multitude of demon spirits from the earth. 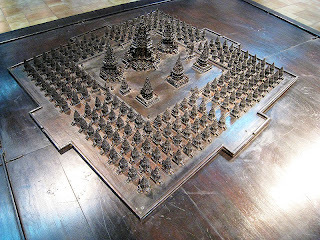 With their help he builds the first 999 temples and starts work on the final one. To thwart his efforts the princess and her maids light a fire in the east and begin pounding rice, a traditional dawn activity. Fooled into thinking the sun is about to rise, the spirits flee back into the earth leaving the last temple unfinished. The prince is furious when he learns of this deception, and places a curse on Rara Jonggrang which turns her into a stone statue. In this way she herself becomes a feature of the final temple, completing its construction and fulfilling the conditions for their marriage. What a great ending, right? 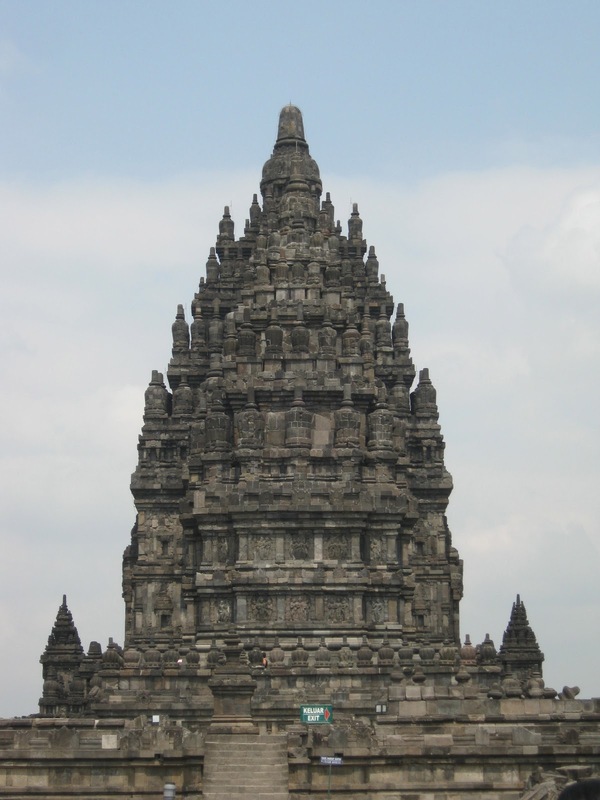 Here is a short (10-minute) video that gives you a tour of Prambanan. It is a little dry, but the visuals are really nice. Enjoy. When we designed our study of understanding the reception of biological evolution amongst Muslim physicians and medical students, we used prayer frequency as one of the measured of religiosity (we also used self-designation and if the person has read the Qur'an or not). Now our pilot study was amongst Pakistanis, and the question of prayer frequency made sense and it worked well (we recovered the full range, from 5 times a day to never or once or twice in life). When we did the same study in Turkey, it still worked, but the self-designation of "religious" corresponded to a lower level than Pakistan. Such variations are expected across countries and all we have to do it is to normalize the difference (and perhaps use other surveys, such as Pew study on prayer frequency), and take note of the difference when doing cross-country analysis. Ah - but then we did interviews in Malaysia - and this particularly category completely collapsed. Almost everyone we interviewed prayed at least 5 times a day. There was one exception. He called himself "not very religious", but he prayed 4 times a day! Okay - so it seemed a little amusing that this guy is calling himself not very religious. However, the broader lesson was that since everyone prays 5 times a day, the prayer frequency may not tell us much about religiosity (for example, if everyone is taking hijab, then the taking of hijab may not symbolize more piety). Well, I have been finding similar results about prayer frequency here in Indonesia. However, I interviewed a very thoughtful young student today, who provided a clear explanation for this. He picked the category of "Religious but Not religiously observant", and defined himself not religious. However, he prayed 5 times a day. When I questioned about it, he said that he is only doing things that are "obligatory" in Islam. That doesn't make him religious. He doesn't do anything extra that would separate him from others who are doing things more or less as part of culture. I this is a fantastic explanation and now I find the answer of Malaysian exception completely reasonable. Very cool. And it is a good reminder to be extra careful in analyzing big cross-country surveys. The interviews here are going a bit slow as english is a bigger problem that we initially thought. We thought that since English is taught in schools, and medical students encounter it in their medical studies. However, the ground reality is a bit different and that limits the choice of who we can interview. 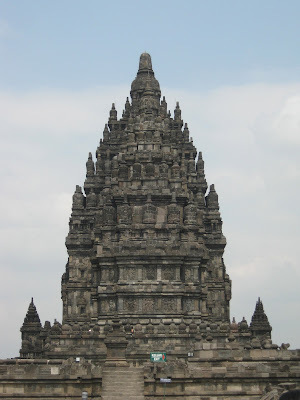 Okay - tomorrow, I have to get up early to check out the fantastic Prambanan Temple. More on that later. For the past two years I have had a chance to visit and conduct interviews with physicians and medical students in several Muslim-majority countries. In most cases, this was my first visit to that country. And it has been enjoyable to note down the first impressions. So here we go for Yogyakarta (or Yogya or Jogja): The city is small, but beautiful. The traffic reminds me of Rawalpindi - but with less pedestrians and somewhat inexplicably, with less chaos. People don't follow traffic lanes and get into traffic lanes more or less by forcing a game of chicken, and yet, there isn't that much honking or shouting or cursing. Now, this may be a total fluke of the past two days, but I have to pay close attention to figure out what is really going on. Now, that I have alienated people from all these cities for various reasons, I wanted to mention two other things that struck me in Yogya: First, I have experienced an across the board politeness here. From the airport to the taxis to shopkeepers, to the people I have encountered for the interviews. Now, of course, I imagine that this is certainly not true for everyone in Yogya - but this is one of the first striking impressions for me. It is certainly nice to be in a place where people smile when they see an outsider. Second, there are a lot of motorcycles. A lot. And everyone wears an helmet. Here is a picture of street right across from my hotel, and you can see a whole row of motorcycles with helmets on top. This sight is not uncommon. Parking lots are full of motorcycles as well. Of course, my first question was: don't people steal the helmets? Well, apparently they do, but it is not that big of a problem. By the way, you can also see my post from two years ago: Malaysia - Motorcycle helmets, modernity, and contradictions.